If you haven't heard, Starcraft II was officially delayed yesterday by Blizzard. Nobody was really surprised, though many were disappointed. The game was moved into 2010 for a release, and the reasons it was delayed may surprise you. 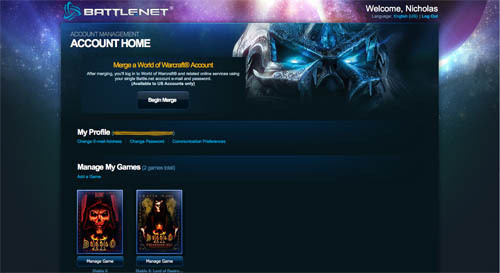 The company's vision for Battle.net is a "true online destination platform," and Kotick expects it to "become the foundation for connecting tens of millions [of players] in the Blizzard community in a social gaming network across all Blizzard's future games." So what exactly does that mean? Cross game invites, global friends lists and logins across all game, social tools (aka voicechat, clans, groups) - it sounds an awful lot like Microsoft's Xbox Live. Though Live seems to have evolved even further past those stages. With Starcraft II moving into 2010, it would appear everyone's favorite colorful and cooperative based Action/RPG, Diablo III, is also in jeopardy of a delay. That's not the case though. Well...perhaps it won't be Diablo III. We'll keep our unicorns crossed. Page created in 0.3461 seconds.